Last edited by 76LS1BIRD; 01-10-2009 at 06:50 AM. hmmmm tempting. these are real nice, lemme see how things work out with ones im bidding on, on ebay....and ill get back to ya. 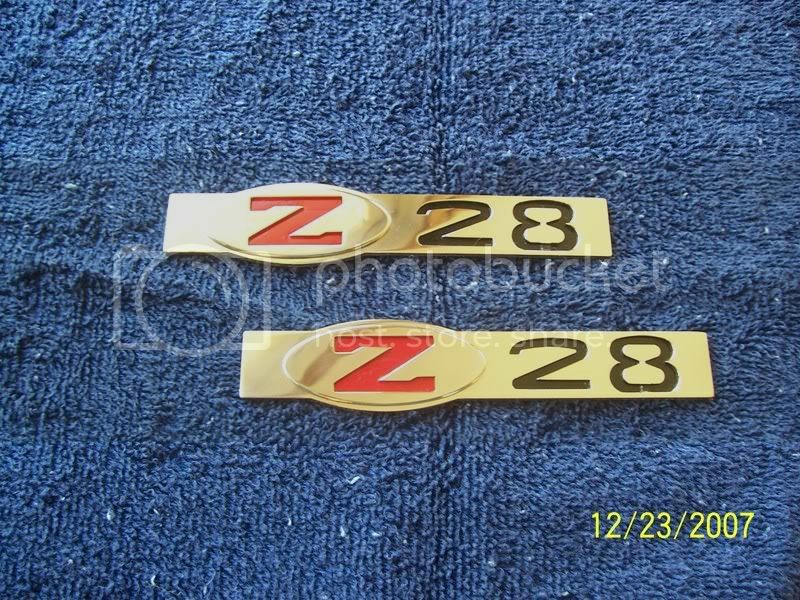 I have a set of (3) retro style z/28 badges with the nubs on back already dremmeled off. All they need to be installed is some 3M tape. I'll take $75 shipped, each is worth over $30 and there harder to find. Last edited by 96LT4; 01-10-2009 at 10:39 AM.